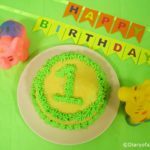 This is our simple and easy DIY Birthday door banner for the First Birthday Party. Party theme was Animals. 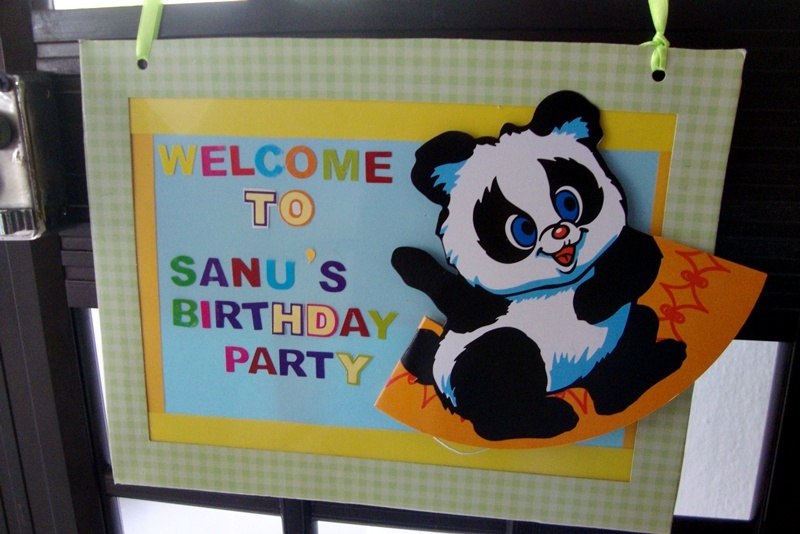 So I used a cute Panda for the door banner to make it match with the theme. At first I thought of using a photo of a monkey. Then, decided a panda is much better. 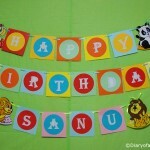 Although I don’t have step by step photos , making this animal themed door banner is pretty simple. 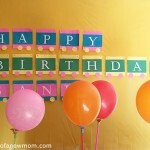 Here is how to make this easy DIY Birthday Party door banner. Then cut rectangles of different sizes. 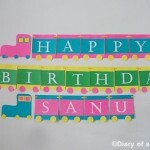 Stick them according to a design which shows different colours/designs as borders. 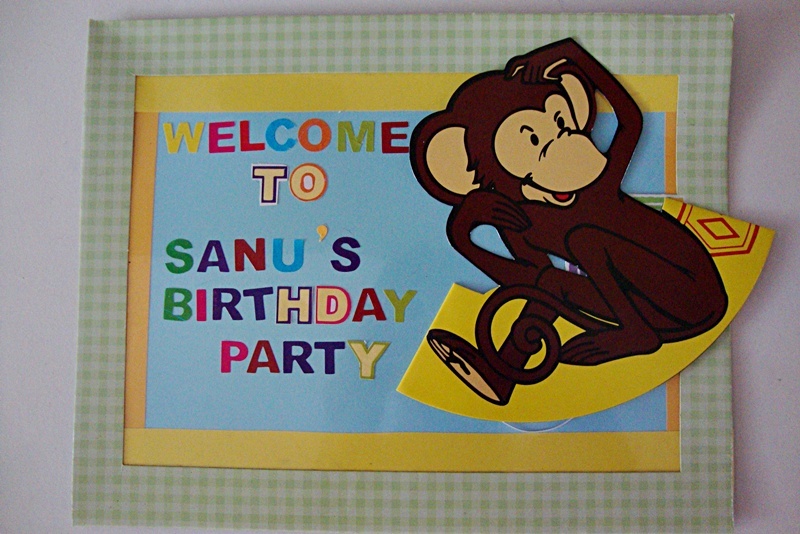 I used letter stickers to create the welcome message in this door banner.Use of stickers is really easy and quick.Luckily I found some colorful letter stickers just before the party day. 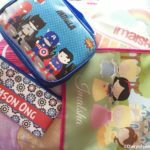 Use a piece of beautiful ribbon or a string to hang it in the door.